India might be cruising ahead in a lot of sectors, but its huge dependence on imported sources for much of its advanced electronic hardware for strategic applications is acting as a major deterrent in its development. Taking a progressive step in doing something about the issue, the Centre for Materials for Electronics Technology (C-MET), Thrissur, has come with its very own low-cost microwave printed circuit boards. He further added, many of these critical microwave materials fall under the embargo category because of international policies. These ‘Made in India’ microwave circuit boards are capable of revolutionising nation’s space, defence and atomic energy sectors. Speaking to DNA, Dr. NR Munirathnam, Director General, C-MET said that these microwave printed circuit boards are one of the major steps in the indigenisation of electronic materials drive, especially for wireless communication sector. The cost savings of these localised microwave boards would be huge. India has a cost advantage over global players as internationally, these microwave circuit boards are made at $250 per square foot but India makes it at just $80 per square foot, which is about one fourth of the cost. This particular factor can help in bringing a major change in the overall performance of the microwave circuit board industry. It can also open the road for many startup companies in the whole microwave circuit design area. 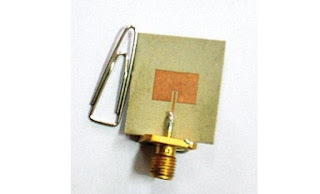 The microwave printed circuit boards can be used for miniaturised GPS antennas, implantable medical devices and antenna designs for missiles. The world seems to be really warming up to these microwave printed circuit boards as C-MET has already earned two US patents for this innovation.